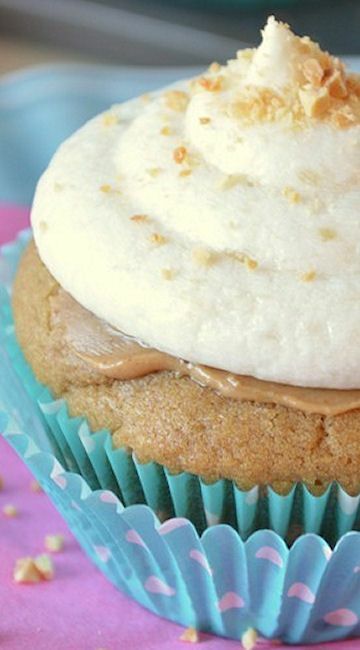 Peanut butter cupcakes with a banana buttercream frosting. If that doesn’t make your heart skip a beat, I’m not sure what will. Preheat oven to 350 and place liners in cupcake tins. In a large bowl, beat together the butter, peanut butter and brown sugar for several minutes until light and fluffy. Add egg and vanilla and beat until smooth. In a separate medium bowl, sift together the flour, baking soda, and salt. Add the dry ingredients to the peanut butter mixture, alternating with the almond milk, beating well after each addition. Spoon batter into lined cupcake tins, filling each about 2/3 full. Bake until a toothpick inserted in the center of a cupcake comes out with moist crumbs, 18-20 minutes. Remove and cool completely before frosting.